Days before opening night of Knott’s Scary Farm, everyone has to be trained on the operations of the event, so everything runs smoothly and is wonderfully terrifying. There is a hustle and bustle of everyone from build, wardrobe, cast and crew to prepare for the opening of Scary Farm. The day we visited they were focusing on training monsters, black out and guest control for mazes. We saw this process for Paranormal Inc.,Voodoo, and Toothfairy. It will be the first time all of these teams work the maze with guests (guests meaning street monsters who are going through). It is wonderful to see the excitement on the faces of all the streets monsters from Fiesta De Los Muertos, The Hollows, Carnevil and Ghost Town. They are waiting in anticipation to have a good scare from their monster brothers and sisters. Also, since these monsters will always be in the streets, this gives them the opportunity to experience these mazes and to see what the design and build team created. The First People you encounter at Scary Farm when you head towards your maze of choice is Guest Control, a team of people with white shirts and black ties. They guide you to ensure you get in line for your maze of choice for either Gen. Admission or Fright Lane. When you are in line, they keep line flow at a good pace and count groups for specific mazes that have pre-shows so it is not too many people with you but just enough to ensure a steady pace of line flow. With every department from Monsters lead by the Cast Lead, Guest Control and Black Outs working together creates a great system for the maze to be terrifying and safe. When we head in, some monsters are in their masks and costume and some are there without that but their characters show through movement, scare and facial expression. Everyone is energetic and on point, it is wonderful that they are given dress rehearsal to get in the groove of their characters and environment. 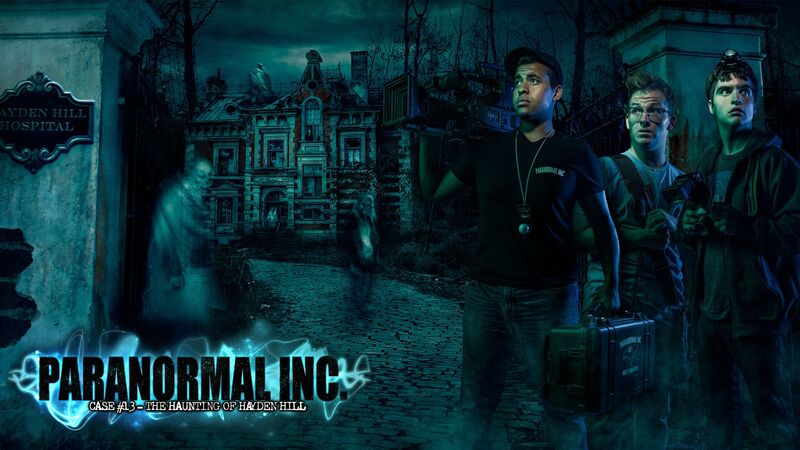 You can see all the action of Paranormal Inc. and Voodoo in our video below. Thank you to everyone who participated in our article and video. Thank you to the people of Guest Control and Black Outs for ensuring the best and safe experiences at Scary Farm. We here at the Knott’s Network are grateful for your dedication and for what you do. Thank You ❤ Scary Farm starts up again this Thursday, so be sure not to miss out. We will see you all soon… In The Fog. Orientation begins with a massive amount of people filing into the Charles M. Schulz Theatre. Friends sit together and you can see whole scare zone families as they all wear their Scare Zone Jerseys. Everyone has papers with important Scary Farm info on it, so they are informed on all the important spooky knowledge and happenings. During Orientation, they cover how to scare and be safe while working haunt with Jesse the Safety Manager. He goes over step by step on the safest way of the scare with “zombie joe.” His presentation also includes haunt lingo of your start position being dubbed “The Boo Hole.” I love how the room roars with laughter and how Jesse is absolutely having fun with them. They go over what to do with dangerous/intoxicated guests, because that is the worst. Overall, he gives them tips and instructions on how to have a safe and fun season. Up next is Jeff Tucker and he goes into detail of important information everyone who is working Haunt needs to know, THE HAUNT SURVIVAL GUIDE! He goes into the best times to come to get ready, parking, and the technical information they need to know. Also, that “On Call” positions are still open for Haunt, it is a list of scare actors on the ready for when spots turn up. These spots usually become open towards the end of the season. Hey, if you missed auditions, there is still a chance to work haunt at least a few nights, get a taste of the fear of others. Mwhahahahhahahaha! Just so you know, it’s 18+ to work haunt, and “it’s not too late, it’s never too late.” Link Down below. After all of the important information has been dispensed by The Tucker, he asks if anyone has questions. Then he asks, “How many are you are new to Scary Farm?” Many hands rise into the air and he welcomes to the spooky, twisted and scary Haunt Family. He then wishes everyone a fun and safe haunt seasons and introduces Jon Cooke and Pasta to the stage. Jon Cooke begins by asking how everyone is doing and for the Scary Farm veterans to give a warm welcome to everyone who is new in the family. Family is key to Scary Farm, it is the relationships, companionships, and friendships that form during the event amongst the staff and monsters that are amazing. 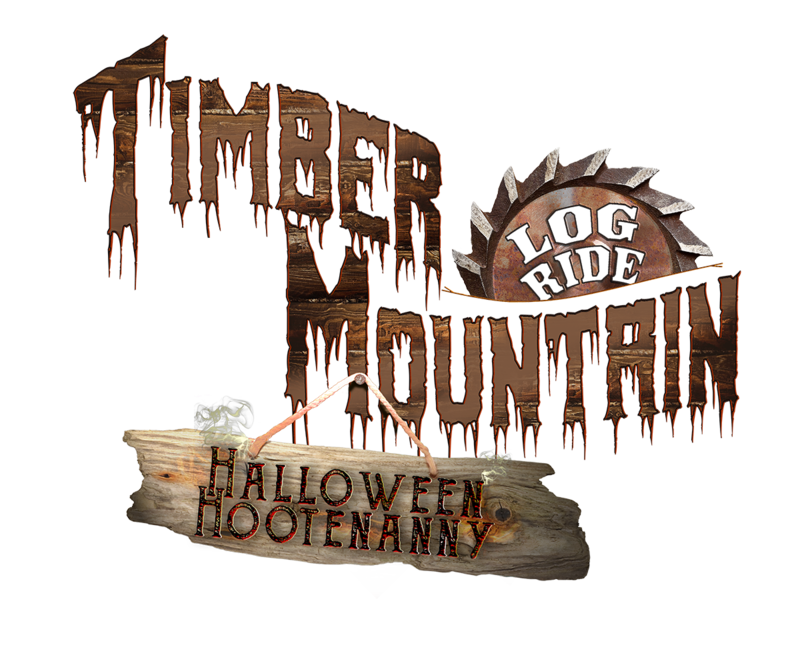 It is everyone’s Passion and love they share for Horror, Halloween, and Haunted Attractions that make the event great. These are the people who work and anticipate Haunt all year long. They carry the Halloween spirit with them where ever they go. Just like in the film Texas Chainsaw Massacre 2: “The Saw is Family.” Many of these Scary Farm monsters and staff hang out together all year long. Unfortunately, they lost 3 of their spooky family this year, they celebrate their memory through the love of Horror and for Haunt. My heart goes out to all of the haunt family who are still healing over their passing. They will be remembered fondly in the fog. So all that is said and done, we interviewed many people this evening, but we will focus on Jon Cooke and Pasta. Jon Cooke is a Scary Farm designer who has created mazes and attractions such as Paranormal Inc., Shadowlands, Infected, Fear VR: 5150, Trick or Treat: Lights Out, Dark Ride and many other contributions to the event… bringing the FEAR and the Next Level of Haunting with every innovation, mixing the classic haut/halloween style with new technology/ideas. With every idea, he begins from concept to bringing it to full fruition. He works together with the design dept. and every dept. to assure that Scary Farm is the Scariest Event in So Cal. In Fact, he works closely with Pasta. She is a major part of Haunt, not only is she the head of the Paint Dept. but also oversees the cast of MONSTERS. She works alongside Jon, going over designs and how each attraction’s look and feel. What they will need from, wallpaper, distressing, paint, colors, etc. She leads her team of about 13 painters and crew leads in going through every attraction and giving it the eerie and creepy looks and feels. Bringing the horror to life!!!!! She states, “after the designers pick the cast she goes in and teach them how to be those characters.” From creatures, to evil carnies, monsters that lurk in the fog, demons and what not. They go over with each scare actor what the creature is and how to be the creature. Directly under them is the cast leads who are people that guide/manage the scareactors/monsters in each maze/scarezone. *WE WILL COVER THEM IN THE NEXT EPISODE 😉 . Overall, Pasta and Cooke oversee the entire event to make sure it is the scariest event you attend this haunt season 3:) 😉 Thank you to Jon Cooke, Pasta, Jeff Tucker, Jesse, The Monsters, and everyone who participated in this episode. You can see all the madness that has taken place in the vid down below. Thank you for reading and we hope to see you In The Fog! The new season will bring unnerving nightmares to life as it debuts three all-new, unique haunted attractions, each introducing new menacing storylines and heinous never-before- seen characters. Dark Ride (New for 2017) – Guests will journey through an abandoned carnival ride where cruel characters still linger in the shadows in Dark Ride, Knott’s Scary Farm’s newest maze. The carnival attraction has become a refuge for sideshow freaks and now those shunned performers have created an ominous world where they plan to unleash terror on those who enter. 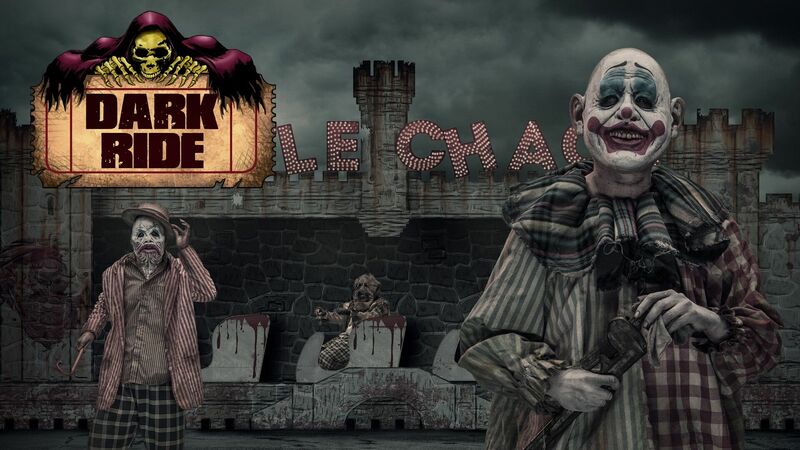 Dark Ride will lead brave visitors through a treacherous path and into the bowels of a long neglected attraction as sinister shadows and horrifyingscenes cast darkness over the once pleasant ride. confines of the haunted town he once terrorized. 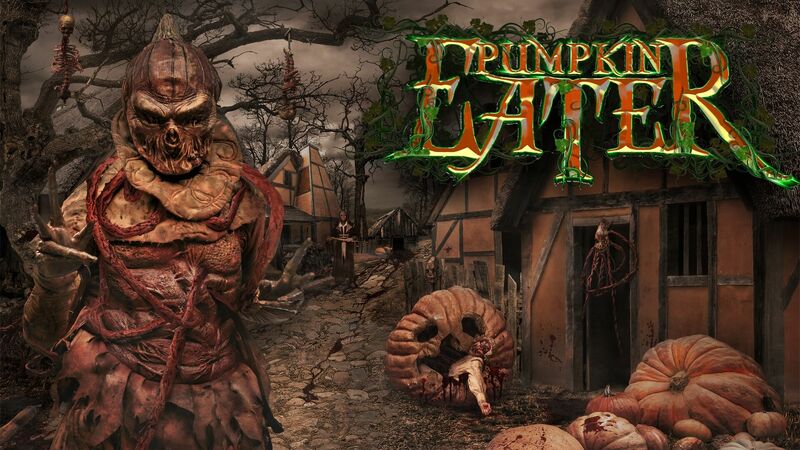 To escape the sinister Pumpkin Eater’s wrath all who enter must go on a quest through the silent town of victims, face a cave of crawling insects and solve the labyrinth of thorns that blocks the only way out. Trick-or-Treat: Lights Out (New for 2017) – Scared of the dark? Returning more sinister and twisted than ever before, guests are invited to step inside the Green Witch’s haunted home and venture through its dark pathways in Trick or Treat: Lights Out. Armed with only a faulty flashlight, brave visitors must face the terror of the Green Witch’s house completely in the dark. Featuring new state-of-the-art effects, unexpected scares and other eerie surprises, Trick-or- Treat is back to terrorize like never before. hospital. Where demonic spirits have been detected throughout the mysterious halls and new unexpected bloodcurdling surprises are hidden around every corner. The Tooth Fairy – This twisted tooth fairy steals more than just baby teeth as he drags his victims out of their bedroom window and into a world of cruel dentistry. Unbelievable special effects include a blackout room through which guests must feel their way out, a disorienting x- ray strobe light room, and a final encounter with the terrifying tooth fairy himself. Say aahhh. 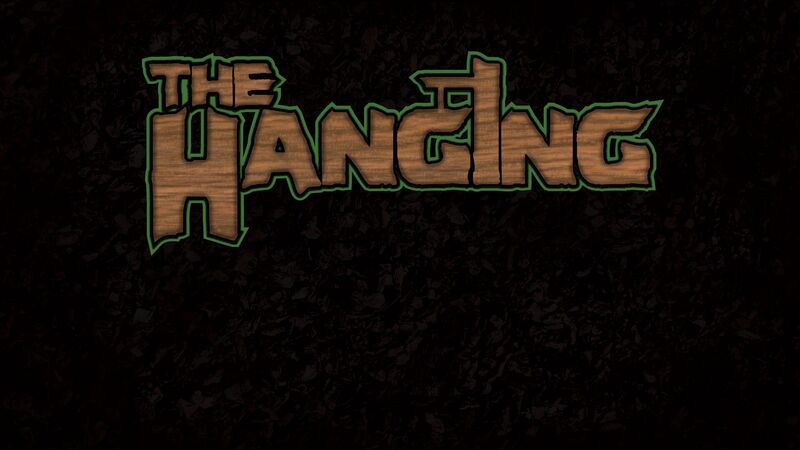 The Hanging®: – A live stage show on the Calico Mine stage irreverently looks back at the year’s pop culture with killer comedy. Notorious for its special effects, pyrotechnics and high- flying stunts, The Hanging is a no-holds-barred assault on pop culture’s most infamous moments of the past year. A must see parody! 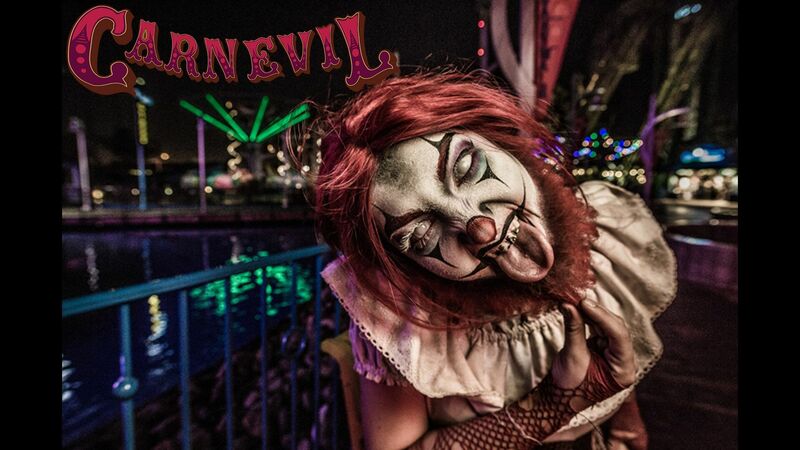 Boardwalk, clowns crave your undying attention in the CarnEVIL scare zone. 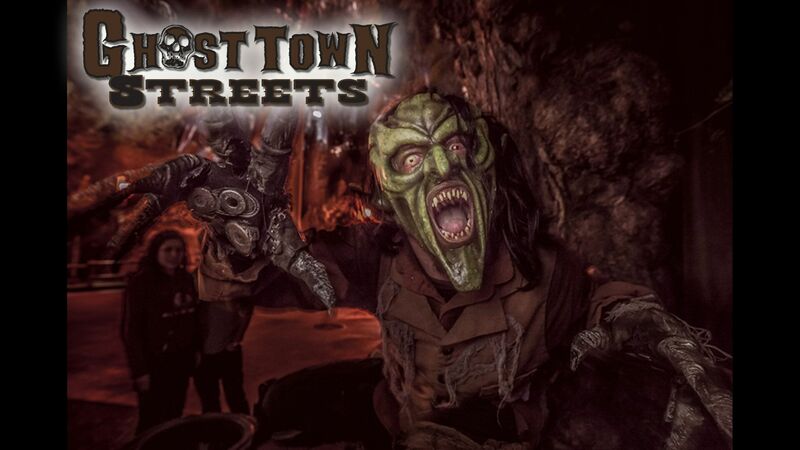 Returning for a second year, The Hollow scare zone will terrorize guests as they find themselves in a war between three covens of witches and their armies of the undead. The fog-filled streets along with the army of the undead treacherously blend into the shadowy night as they frighten all whom they encounter. 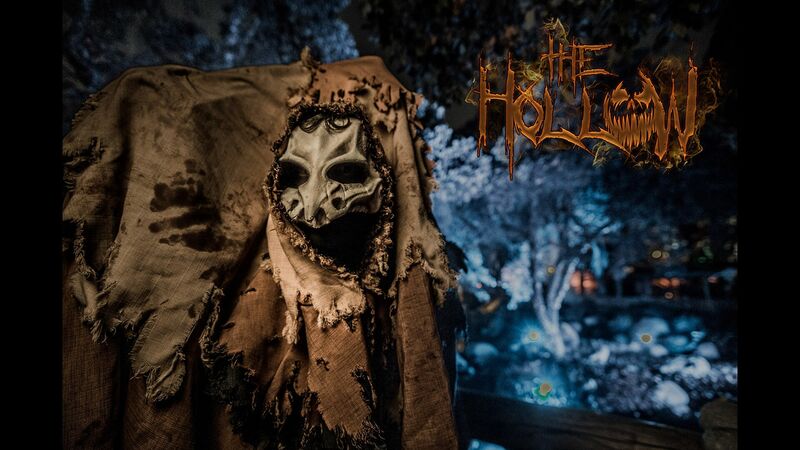 Featuring an all new fiery finale, The Hollow is a practically all new with a themed maze to accompany it. online and $33.99 + tax when purchased at the door. Separate theme park admission required, and not included. Knott’s Scary Farm is finally here, we spent the first 3 nights taking it all in. We’re going to talk about tips, new mazes, experiences and more! We have spent the whole weekend at the Knott’s Hotel, which was refurbished little over a year ago and it’s the best way to enjoy opening weekend or any night of Scary Farm! 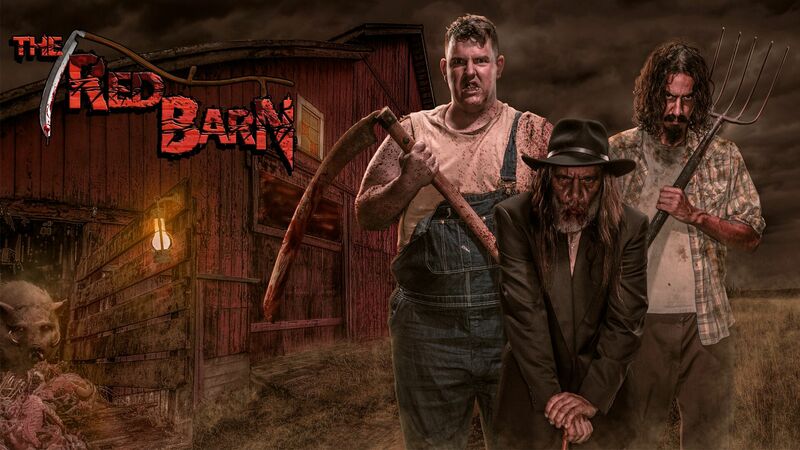 They have Scary Farm hotel packages that can gets you a T-Shirt, Fright Lane, Fast Lane, Pre-Scare Dinner at the Hotel, and tickets to the event! The Pre-Scare Dinner is a great way to start the night, you get to visit with the monsters that will end up scaring you later on in the night 😉 Also, you get to take photos with them, and you get into Scary Farm 30 mins early! We recommend going to the backstage mazes first, or whichever maze you would like to go to first. Right now, Shadowlands and Infected are the most popular, Paranormal INC. still brings in a crowd. Pass Holders can also get discounts for the Scary Farm Hotel Packages visit https://www.knotts.com/places-to-stay for all the info and reservations. Tip on the Skeleton Key rooms: We recommend visiting those first, they can get crowed on busy nights and the rooms take time to reset. The rest of the mazes will not be a problem since you have “Fright Lane”. Tip for guests not using Fright Lane: Right now Infected and Shadowlands are the most popular we recommend checking those out first. They are AMAZING!!! Tip for Guests that want to ride the new Ghostrider: The line can get pretty long, lots of people that visit Scary Farm only go to it during Scary Farm. So, try to hit it up at the end of the night because the ride still operates past closing for the remaining line that is there before they rope off the line at closing. Hello…. This is Mary putting in my two cents on my favorite new maze of 2016! For many years I have always wanted to see Geishas be incorporated with anything horror… I LOVE Japanese art, culture, history, and above all sushi… mmmmmmmm. LOL, but seriously, this maze is amazing! It does the Japanese horror folklore justice and it is so damn beautiful and rich with detail. 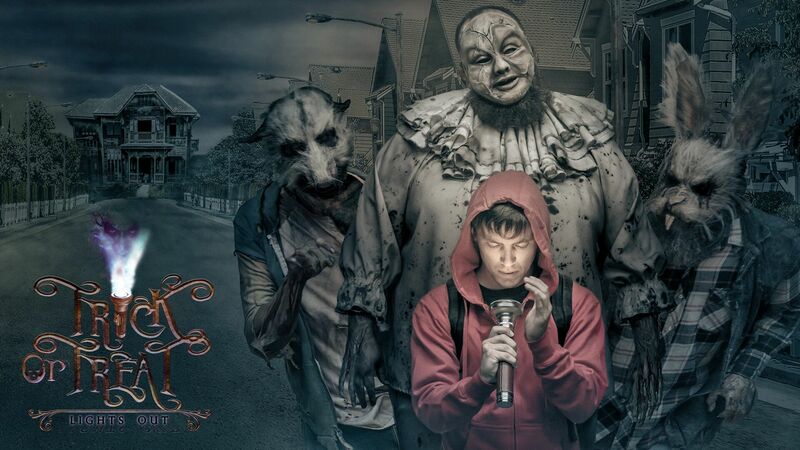 There is so many innovative scares, use of technology and the cast is on point! I also love the preshow! It is a beautiful death on the battlefield 3:) You should get yourself over there first thing in the evening because the line gets crazy!! 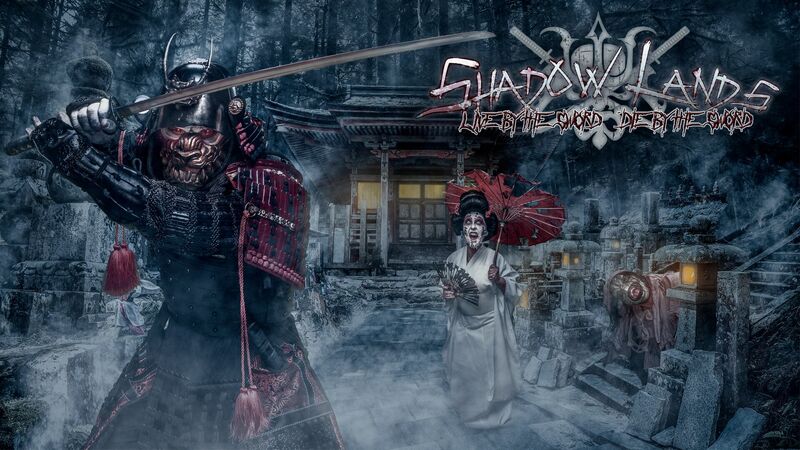 This is a NOT TO MISS attraction at Knott’s Scary Farm! Props to Jon Cooke and his team for putting together this fantastic maze! This season of Infected is now a walk through maze and it is amazing, OMG!!! 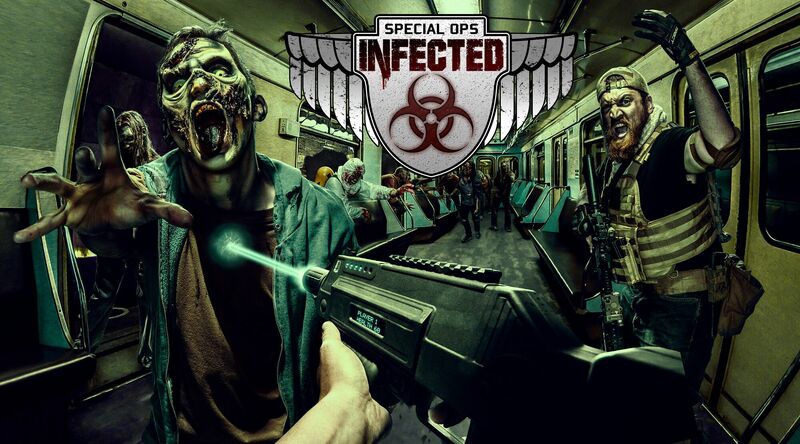 I’ve been a fan of Infected since year one and this is amazingly put together, the details are great, the soundtrack is great and lighting… it’s all wow. It’s full of Easter eggs and scary surprises, we got a sneak peek at it the other night but there were no monsters inside and we have yet to see it with the monsters, but we will soon and I’m sure it’s even more amazing. Props to Jon Cooke and the Team involved. Ya’ll are Amazing J Tim. Really enjoyed this one, reminded me of Slaughter House J I like the idea of Hill Billy Red Neck Cannibals very scary plus the maze was done at The Wilderness Dance Hall which already looks like a red barn… also when your inside if you look up, it still looks like a barn 😉 We love the twisted minds of Daniel and Gus. We will continue to give you tips during Scary Farm and our weekend Video will be up soon. “FEARVR: 5150” New VR experience at Scary Farm This Season! Enter the mysterious Meadowbrook Institute and witness the abnormal case of a terrifyingly unusual patient named Katie in the groundbreaking virtual reality horror experience FearVR: 5150. Using Samsung Gear VR powered by Oculus and strapped to a hospital wheelchair, come face- to-face with the deadly chaos unraveling around you. Disturbingly vivid sights and sounds invade all of your senses. Encounter the darkness that has taken over the medical staff during your fully immersive hospital stay. Patients beware; it is easier to check in than out. FearVR: 5150 requires an additional fee and is not included with park admission or Fright Lane with Skeleton Key. A limited number of reservations are provided on a first-come basis when Knott’s Scary Farm opens each night. Advance reservations are not available. Visit the ticket kiosk located outside The Dead of Winter: Revenge of the Wendigo maze in the Boardwalk area to make a reservation.